Long Island Vineyard Tours is an exciting service offering the opportunity for Tastings and Tours to the outstanding Winery's at the Eastern End of Long Island. Using our Limousines and our experience in providing quality service, you are sure to enjoy the many wonderful packages Long Island Vineyard Tours has to offer. We provide our customers with luxurious limousines that will transport 2 to 4 people/couples to the East End of Long Island. For larger parties/groups our Luxury Tour Bus can provide accommodations for 25-48 passengers. Luxury Tour buses can provide clients with a group atmosphere for private parties, comfort and privacy. Choose from our many packages or design your own "Incredible Day", with our "Create Your Own" options. Our staff is trained to assist our clients/customers in designing the day to their perfection. Let Long Island Vineyard Tours create a package for you. If desired lunch will be provided for you and your party to enjoy at the Winery of your choice or you can choose a wonderful meal at the many fine restaurants the East End has to offer. We will even reserve your seating, leaving you and your guests with only one responsibility, Eat & Enjoy. The East End of Long Island is a Beautiful Place, where there are many activities to take pleasure in year round, like Tastings & Tours. Here at Long Island Vineyard Tours we can handle all arrangements necessary to create the perfect day. Our relationships with the East End businesses make it easy for us to handle any and all accommodations you are looking for. Detours for fresh produce, as well as reservations for the many eateries are just a few of the many options our clients receive. Our calendar of events allows our clients the choice of attending the many harvests, festivals, and wonderful concerts that are common to the East End. For more information on our Long Island Vineyard Tour Packages or to make a Reservation please contact us or call Long Island Vineyard Tours today. 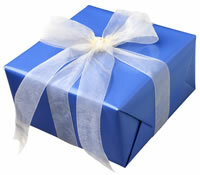 We offer Gift Certificates for the Holidays or any occasion.